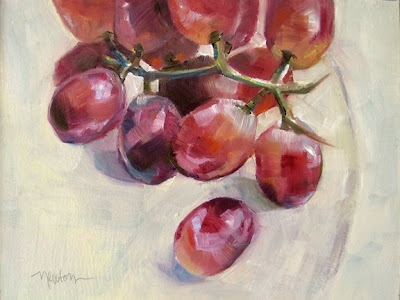 After a 5 hour lunch/catchup date yesterday with an old friend, I returned to my easel and these grapes. I think my vision is clearer (and it shows) if I don't start, stop, restart. I look forward to beginning a new painting and to finishing it in one session.